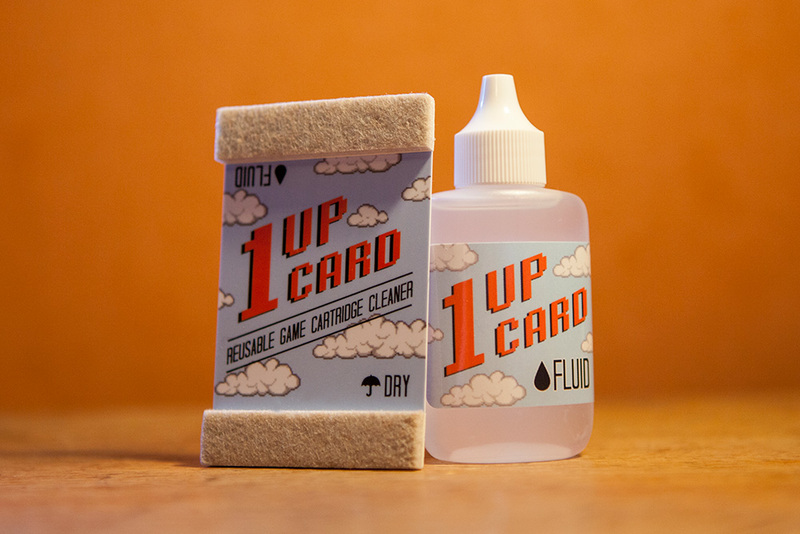 Heidi over at retro-video-gaming.com is super cool and did a really detailed review of the 1UPcard. Be sure to check out her website! A copy of her review is found below. Enjoy! Isn't her photography awesome? I love it. So I’ve tried this out! 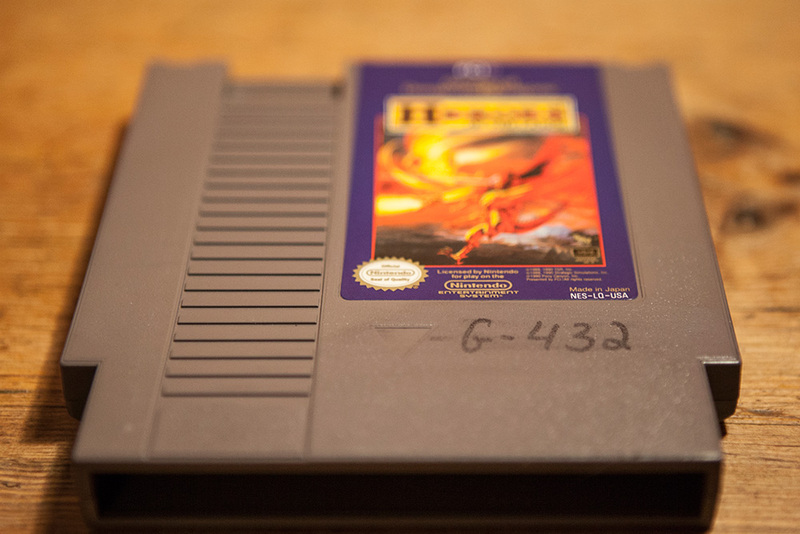 First of all I tried an NES game. 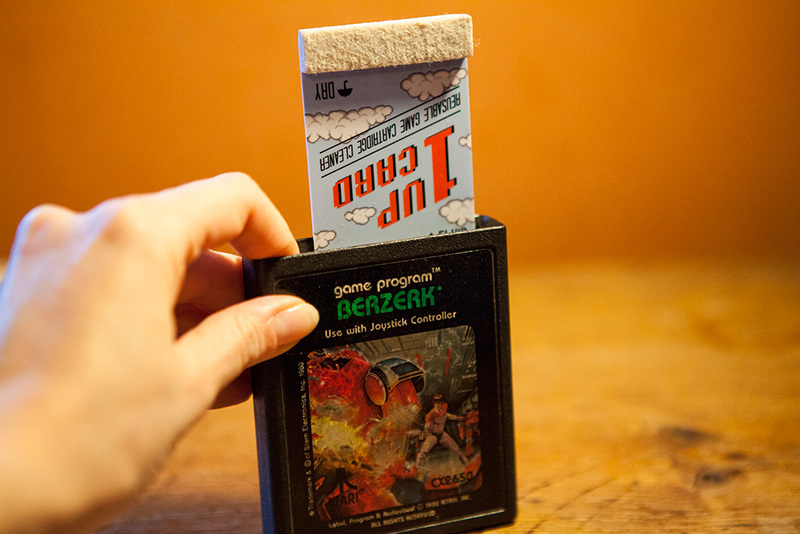 The pad and the card fit perfectly. Rubbing was smooth and fast. 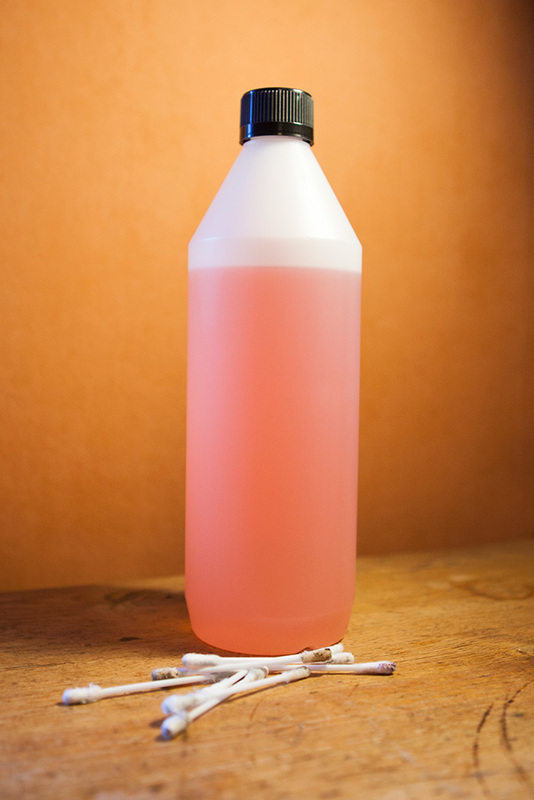 You got a better grip than with a q-tip and could therefore rub faster. 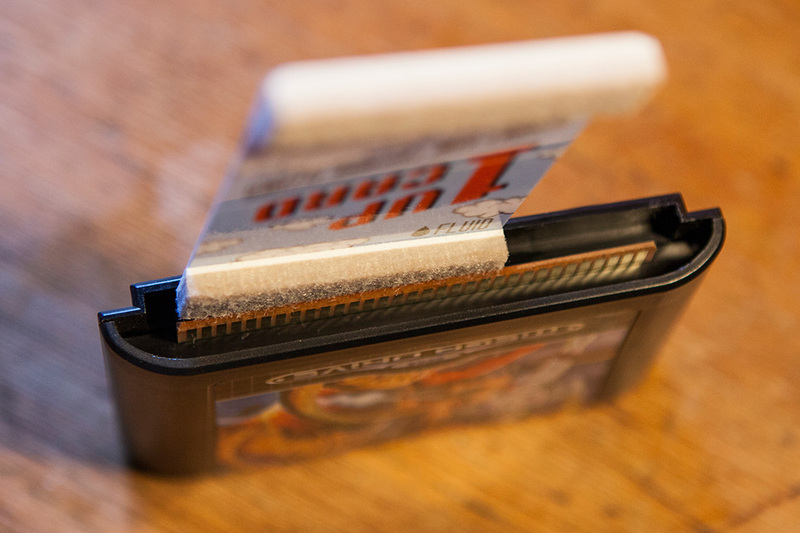 Another benefit is that you managed to get the edges of the pins, which is usually a bit of a drag with a q-tip since it easily falls between the gap at the end of the pins before the plastic. 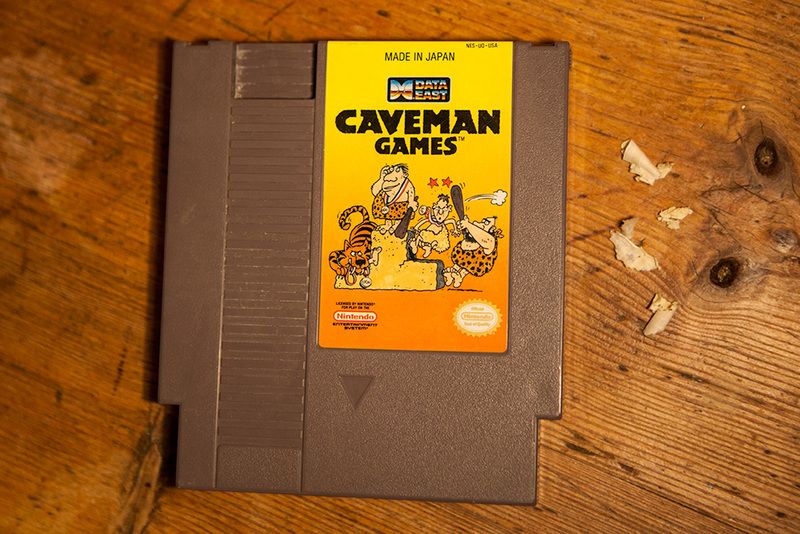 After this I tried out the Game Boy cartrdige! 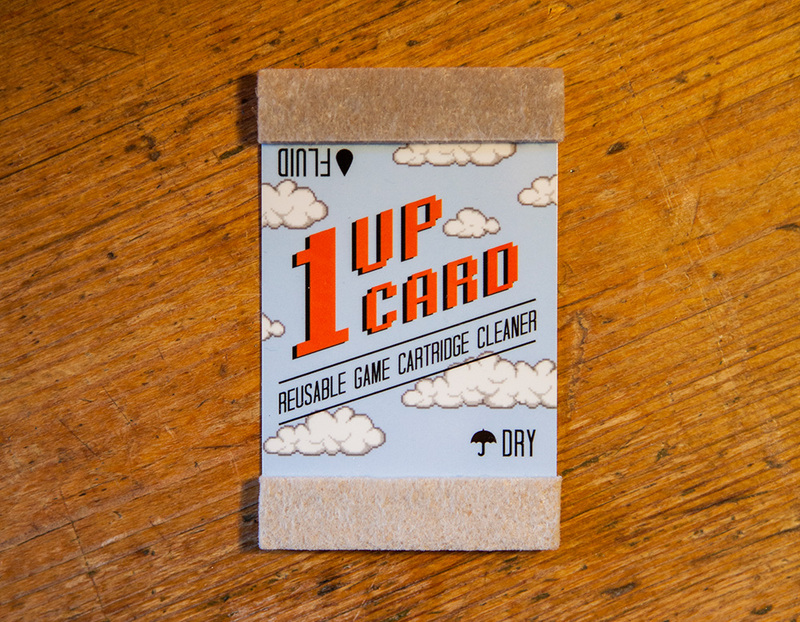 Here the 1 up card did not fit, I managed to force a corner of it in there, but the 1 up card is still wider than the cartridge. So here it’s still more effective with 1-tips. 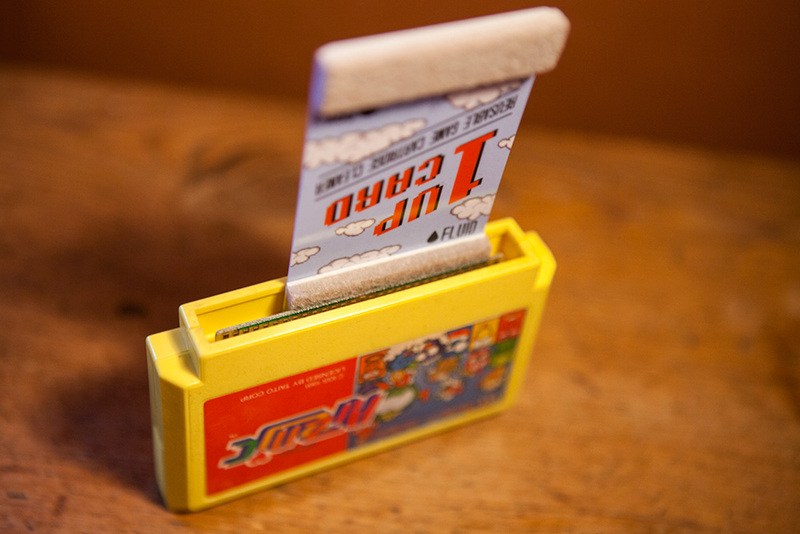 Next I tried a Famicom cartridge! This worked perfectly! 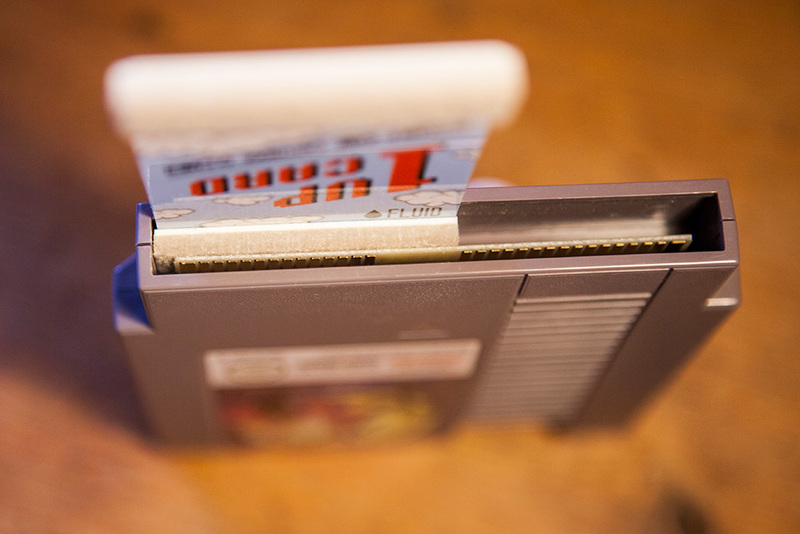 I think it’s got kind of the same dimensions as an NES cartridge in the space between the pin connector and the plastic. After this I picked a new 1 up card because I felt the other one was dirty. 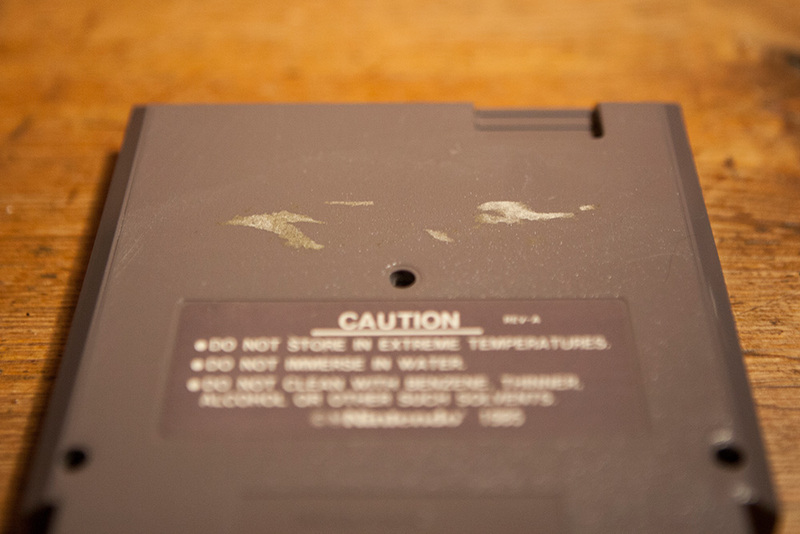 On Adam’s site he states that it’s ok, because the dirt goes into the pad and stays in the bottom.. but I still felt like it was dirty, and didn’t wanna rub that extreme MVS dirt onto the other less dirty carts ;D So I went on with a new 1 up card on a Sega Mega Drive (Genesis) cartridge! It worked, but you had to force it down a bit for it to fit. Next up was Super Nintendo! 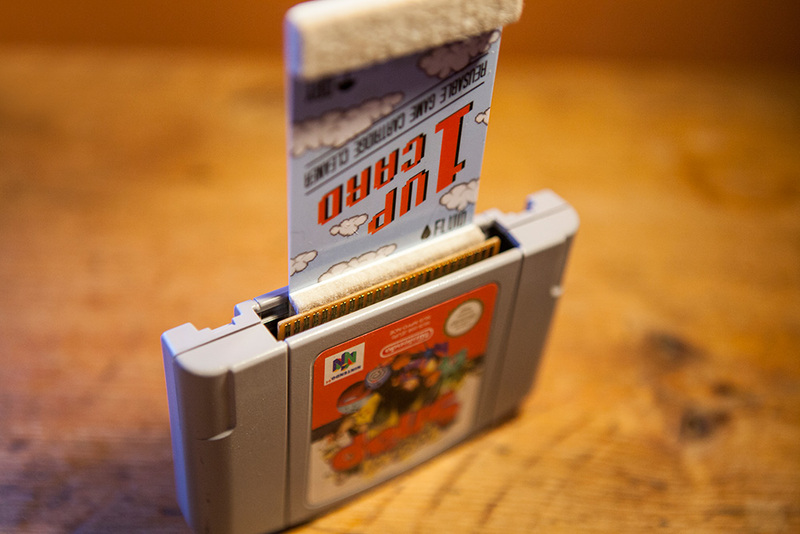 Also very tight to fit the 1 up card. Like the back of the Master System. Had to force it in there, but once in it worked. 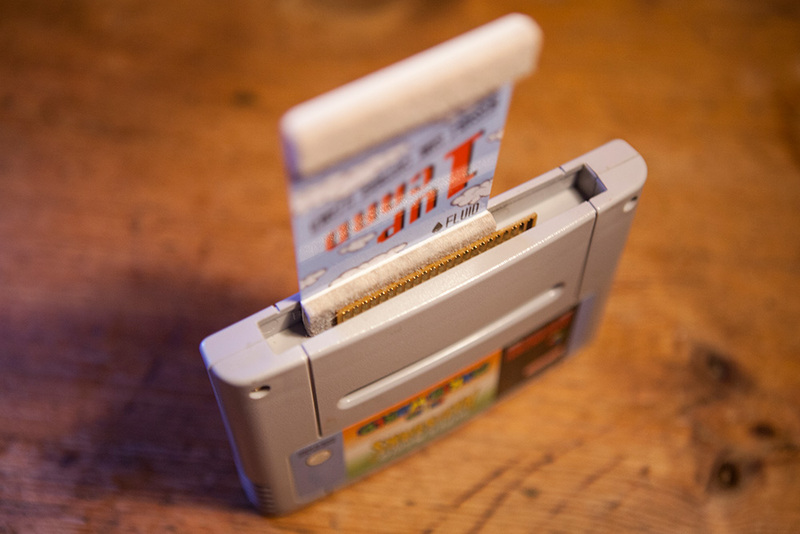 Then I tried a Nintendo 64 cartridge. 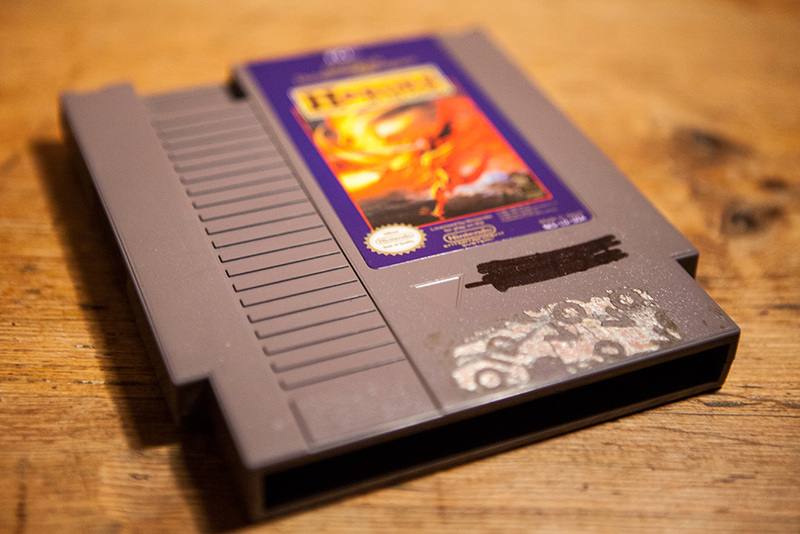 A little bit better than SNES, but still tight. 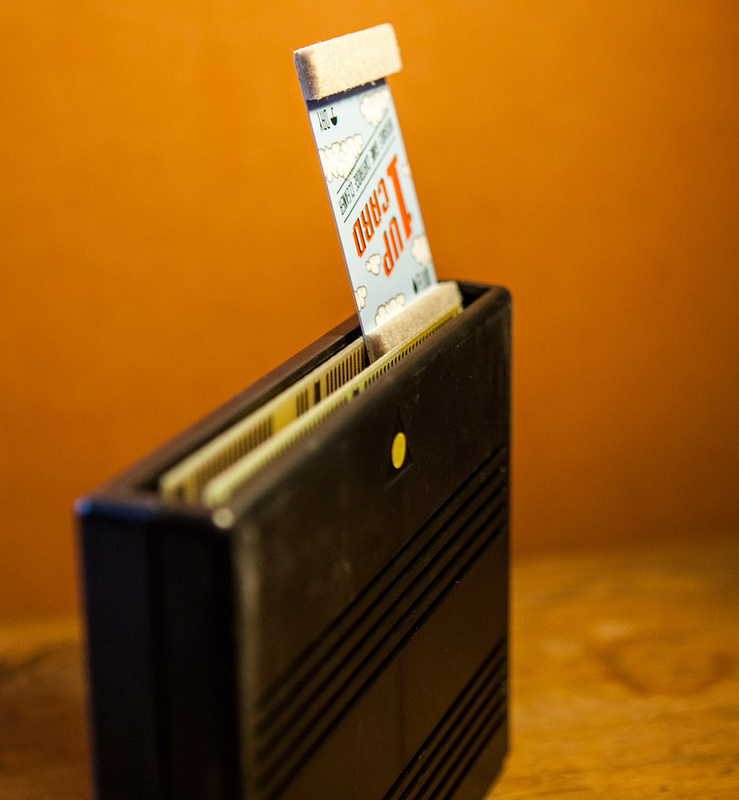 And finally an Atari 2600 cartridge! 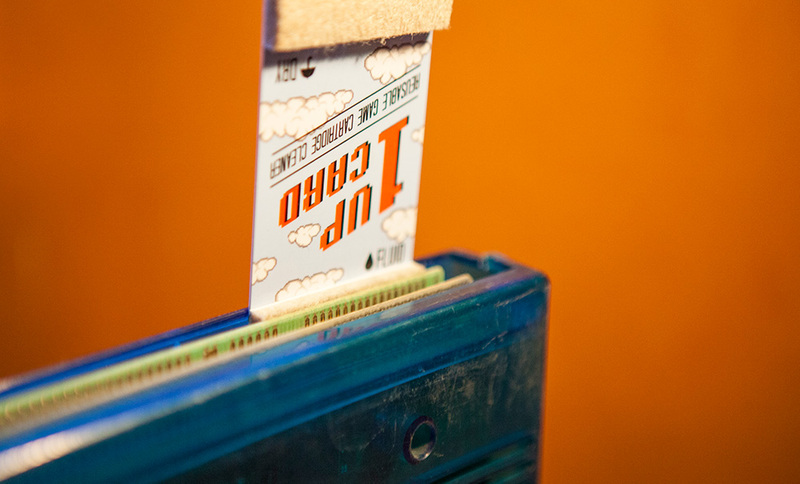 :D These are difficult as is, since you have to push down the plastic to reveal the pin connectors, but I would say that it’s easier with the 1 up card since you can keep pressing the card down while cleaning to keep the pins exposed. When using q-tips you will have to hold it down simultaneously with your other hand. 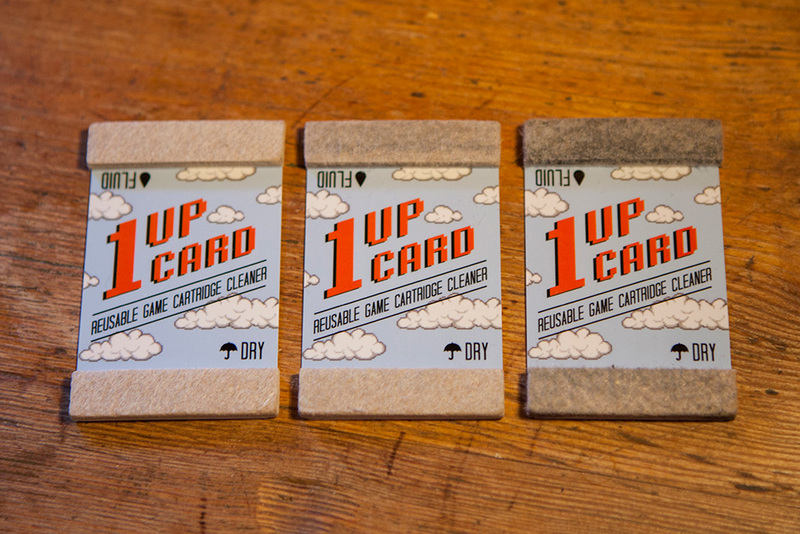 After this the second card I had used looked like the picture below (middle card). These latest games I cleaned though were from the collection, however not used in a while, so they’ve been thoroughly cleaned once before, but of course collect more dirt by just hanging around. 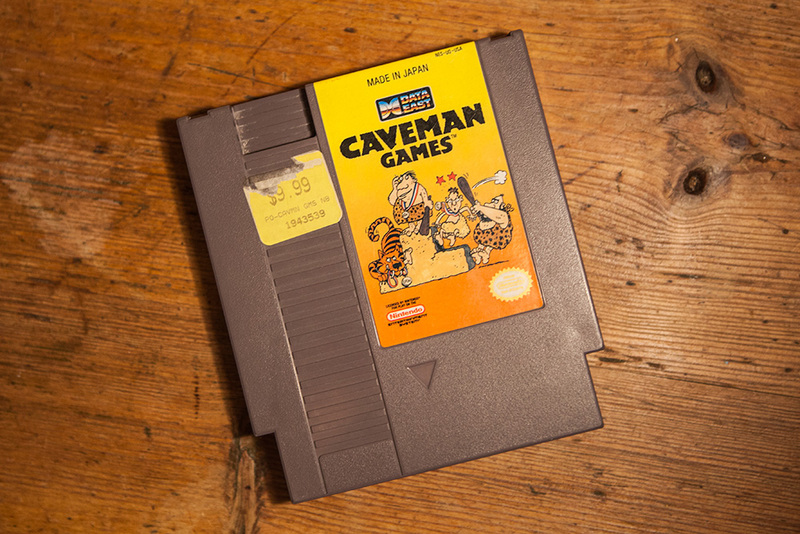 First up is the sticker on Caveman games! After some rubbing and scraping with my nails I got it off. I do the same with q-tips which works just as well. 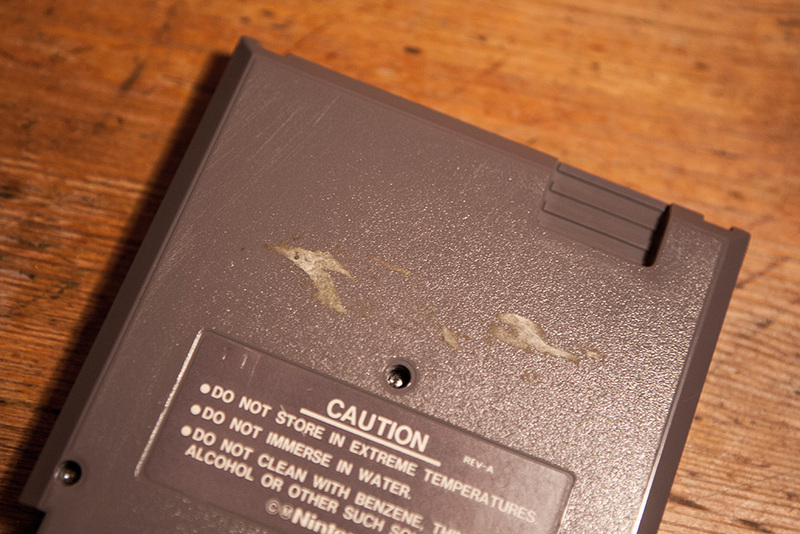 The benefit with q-tips is that the rubbing surface is smaller, which makes it easier to avoid the actual label sticker on the cartridge (which you want to keep on there ;D). Apart from that it worked fine. Then the permanent markings ^_^ These came half way off, they revealed what was written underneath with an apparently more permanent marker! haha ^^ The sticker residue in the bottom came off nicely though. 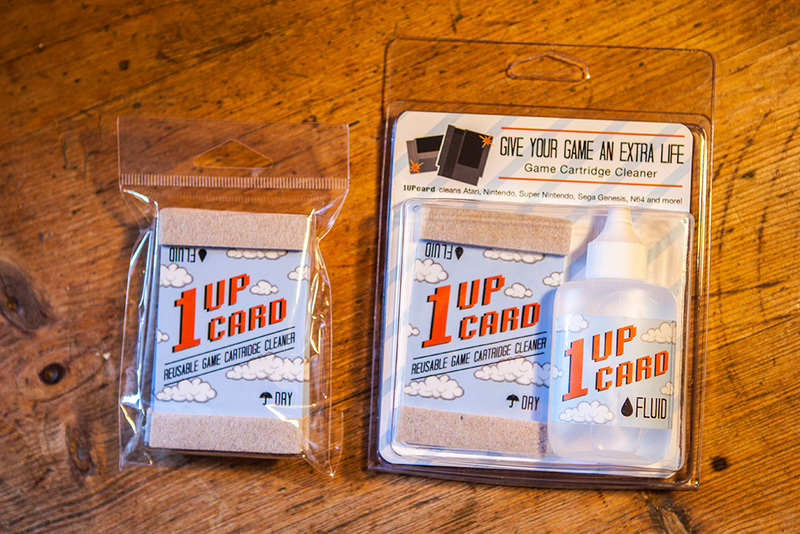 The pad was completely black after this procedure and while rubbing it on the sticker the surface got black smeared all over it.. so I will not re-use this 1 up card for any pin cleaning.. 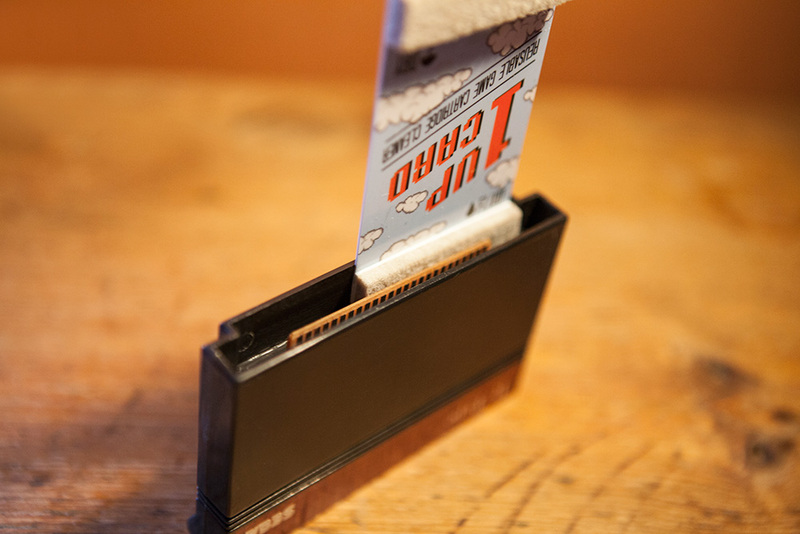 I really liked the packaging of the product and it works with almost all retro game cartridges, you can tell that it’s based on the NES though, which it fit perfectly in. 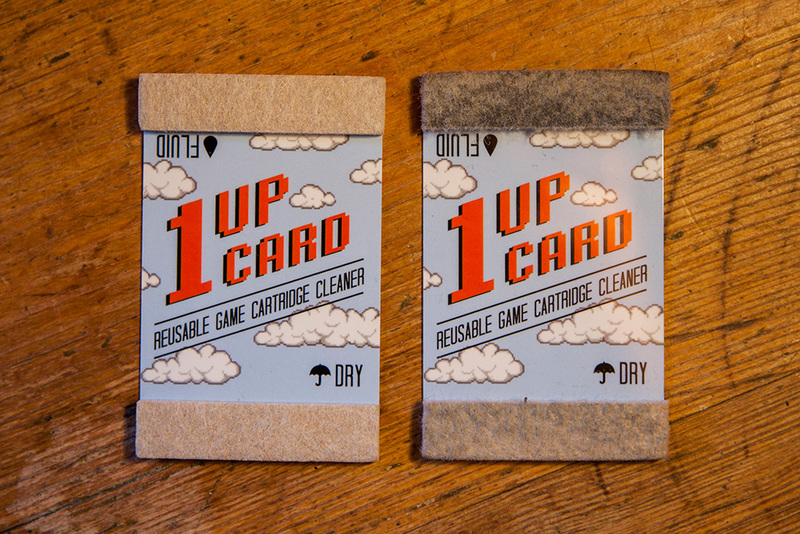 Unfortunately not with the Game Boy games though, but these are so fast and easily cleaned with a q-tip anyway so it doesn’t really matter.